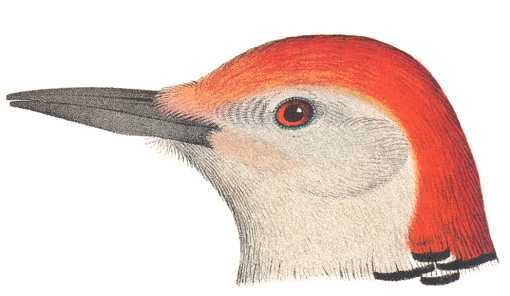 Top of head, forehead and back of neck scarlet red, partly so in the female. Back and wings barred with black and white. White sides of face, throat. Under parts ashy gray, mixed with yellowish-white and red on the belly. Inhabits coniferous and deciduous forests throughout most of the U.S. east of the Rocky Mountains. Common in the South. Ranges from the Great Lakes, Ontario and the Great Plains States to southern Texas and from Florida to Massachusetts. Ascends trees in quick, jerky motions searching for insects. Emits a short note likened to a bark when hammering for insects. Excavates cavities in trees up to twenty feet often deep in forests. May nest in abandon cavities or bird houses. Lays from four to six white eggs which hatch after about two weeks incubation and young leave the nest in about another four weeks. The Red-bellied Woodpecker Birdhouse has a 6″ by 6″ floor, 14″ inside floor to ceiling, 2 1/2″ diameter entrance hole located 11″ above the floor and ventilation openings. Mount out of reach on a tree on a woodland edge or clearing. Leave a bed of chips in the house. Remove the nest and clean the box well after the brood rearing season is past. Lewis’s Woodpeckers, Northern Flickers, and Owls may also use this box. Ascends trees in quick, jerky motions searching for insects. Emits a short note likened to a bark when hammering for insects. 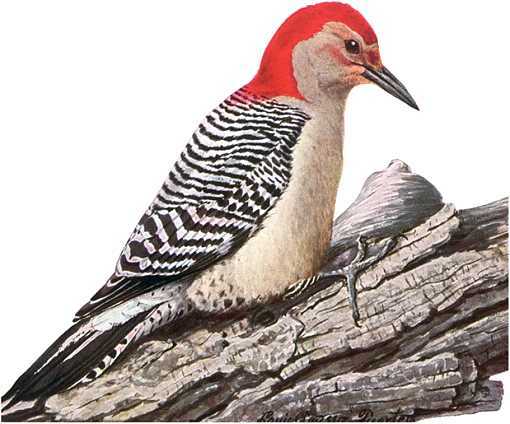 Female red-bellied woodpeckers lay from four to six white eggs. Young hatch after about two weeks incubation and leave the nest in about another four weeks.